"When You Can't Find The Sunshine, Be The Sunshine..."
A few weeks ago I was sent this exciting new make up accessory from Beauty Essentials. 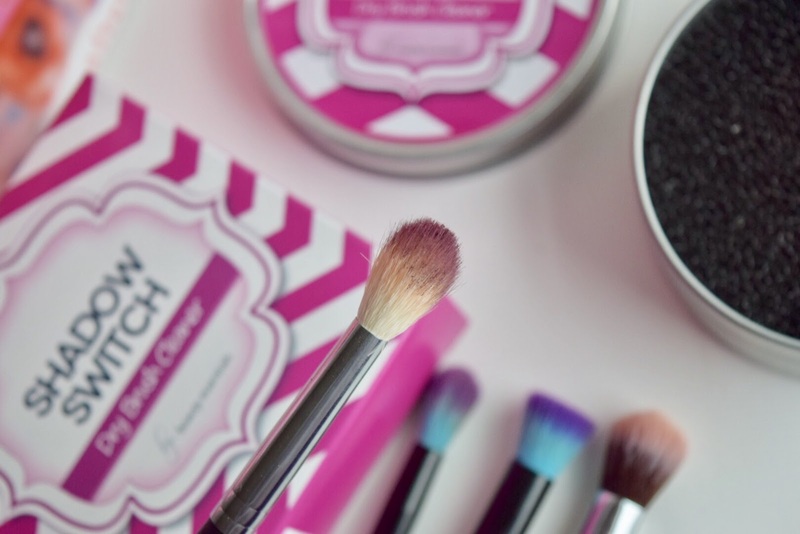 This Shadow Switch tin is a dry make up brush cleaner and I have been using it non stop! I must admit I didn't really know what to think when I opened up this pretty little tin. The tin comes packaged in a box and inside the tin is a dry, coarse sponge. To use the Shadow Switch all you have to do is swirl the brush round a couple of times on the sponge and you are good to dip the brush into another shadow. It's as easy as that! I have found this to be so handy especially when using the Too Faced 'Sweet Peach' palette as the shadows in that are incredibly pigmented. I do have a fair few eyeshadow brushes but I also have my favourites that I like to use and this tin allows me to make the most of them. 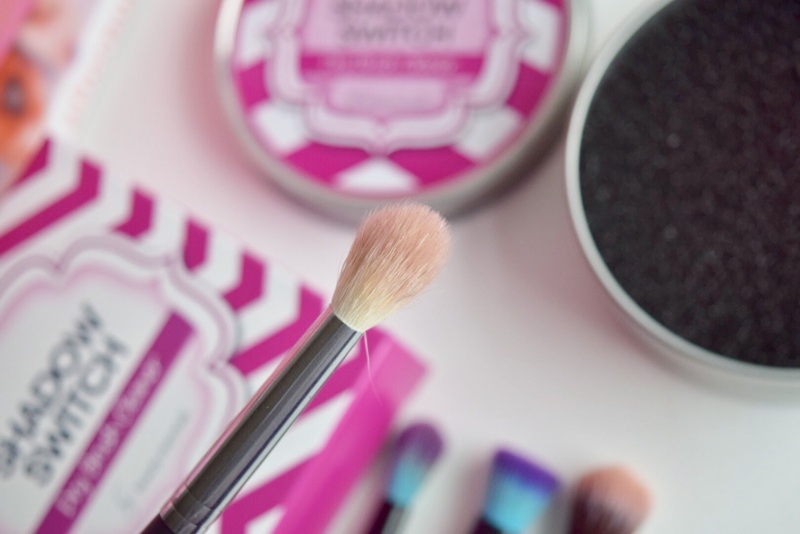 As you can see from the photos, even when using dark shadows the dry sponge erases the excess so you are able to continue using the same brush. I will say that this is not a solution for properly cleaning your brushes. I still like to clean my brushes with brush cleaner and water every fortnight as they can become dirty. This is just a great little invention for make up lovers similar to me who don't have a vast amount of the same make up brushes and want to be able to switch between shadows with the same brush. If you think this would be a great addition to your dressing table then you can purchase the Shadow Switch from Amazon here for just £5.99. Let me know if you have tried this and what you think of it! *I was kindly sent this product to review on my blog but all opinions are honest and 100% true.